Charity Bribes was a short-lived crowdsourcing experiment to see if we could goad a celebrity into doing something awesome if they knew a decent amount of money would go to a charity, but only if they did it. Kind of like Kickstarter for shenaningans. 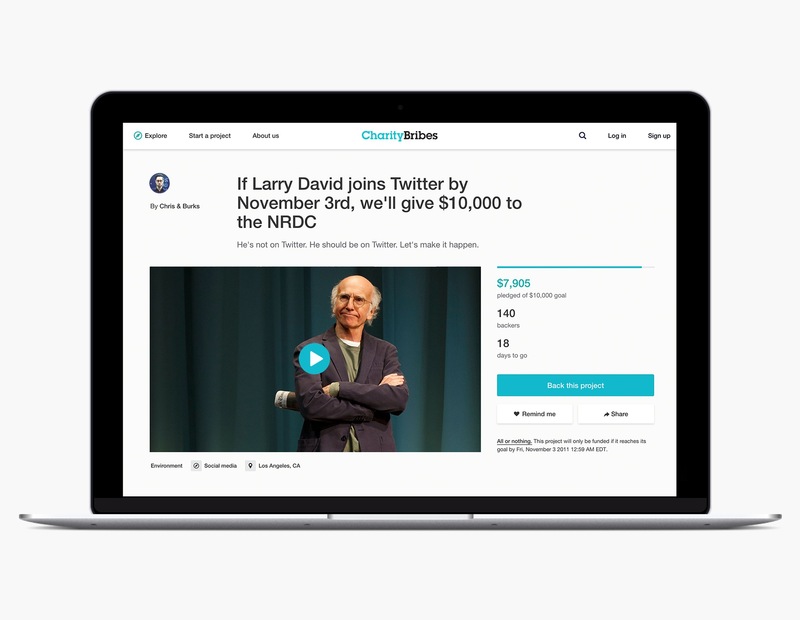 The first bribe was for Larry David to join Twitter with a potential $10,000 donation to the NRDC. The money was raised, the press got his attention, and he actually created an account. His first and only tweet to this day was about us.